PHOENIX – With many of those crossing the border illegally shifting to remote areas in response to stepped-up enforcement, the trash they leave behind is becoming tougher – and riskier – to clean up, a state agency director told lawmakers Thursday. He called trash along the border “a fairly significant issue” that has persisted even as illegal border crossings have declined slightly. 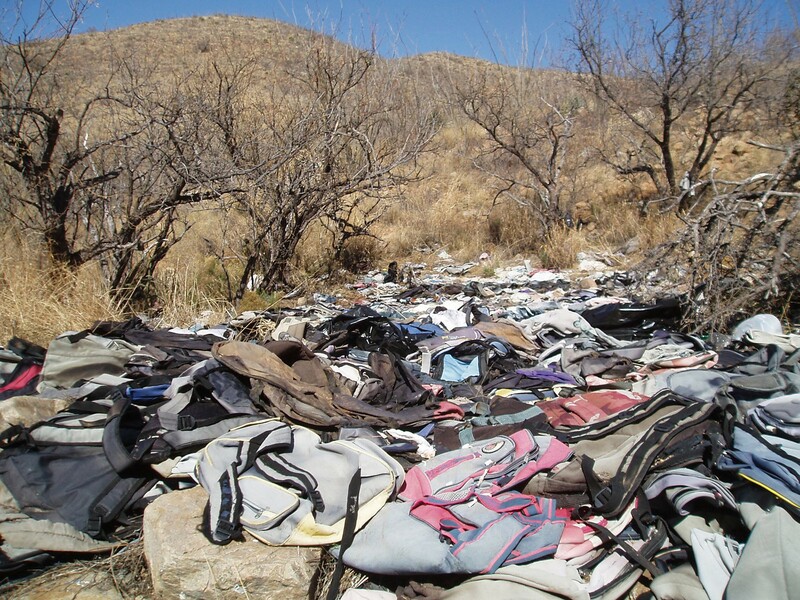 Showing pictures of trash-strewn landscapes, Darwin said that illegal immigrants leave behind an estimated 2,000 tons of clothing, backpacks, plastic bottles, soiled diapers, abandoned vehicles and more each year. The worst sites are where illegal immigrants or drug smugglers wait or camp, he said, adding that rain often washes the debris into drainages. With those sites increasingly in remote areas, getting cleanup crews and equipment to them is more difficult, Darwin said. “It’s causing a real challenge for us to get the material out of the desert,” he said. ADEQ organizes its own cleanups and partners with organizations, local agencies and the Tohono O’odham Nation, Darwin said, adding that his agency has created a website, www.azbordertrash.gov, to share information on those efforts. The Environmental Protection Agency and Bureau of Land Management contribute most of the money for ADEQ’s border efforts, he added. While ADEQ publicizes the general areas of its border-cleanup events, it won’t announce exactly where out of concern for the safety of those who may try to help on their own, he said. Darwin said Pima County – the Tohono O’odham Nation in particular – has been hardest-hit. Sen. Gail Griffin, R-Hereford, noted that one of the sites featured in Darwin’s presentation is a half mile from her southeastern Arizona home. “In many of these lay-up sites that I’ve been out to you can actually smell them before you get to them,” she said. 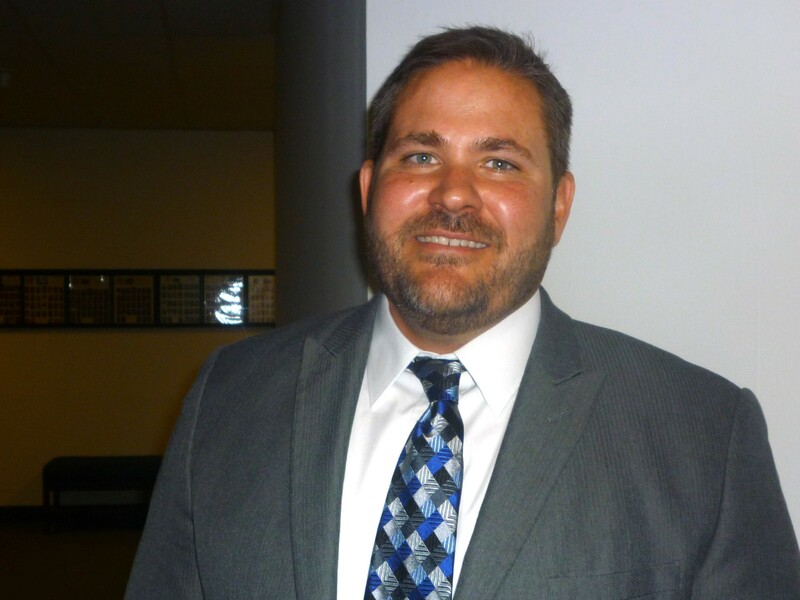 Sen. Al Melvin, R-Tucson, suggested using inmate labor to address the problem. “It’s equal to the all-volunteer effort, but in a sense it’s better because we can do it day in and day out,” Melvin said. Darwin said ADEQ is working with the state Department of Corrections and the governor’s office to arrange inmate help. Sen. Frank Antenori, R-Vail, the majority whip, said curbing illegal immigration is the surest solution. “I appreciate the efforts to clean the desert up, but I want somebody to chip in to try to stop the problem in the first place,” he said. 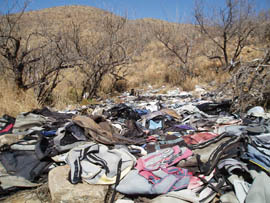 This Arizona Department of Environmental Quality photo shows trash left in southern Arizona's Santa Cruz Valley. 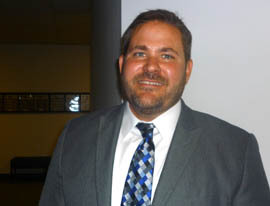 Henry Darwin, director of the Arizona Department of Environmental Quality.